A smoky Rob Roy (left) and the Contender. All photos by Matt Rodbard. 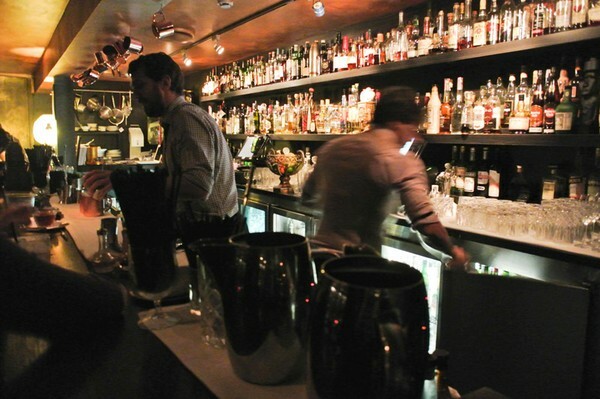 New York City may have invented (and re-invented) the speakeasy, but Sydney has perfected it. 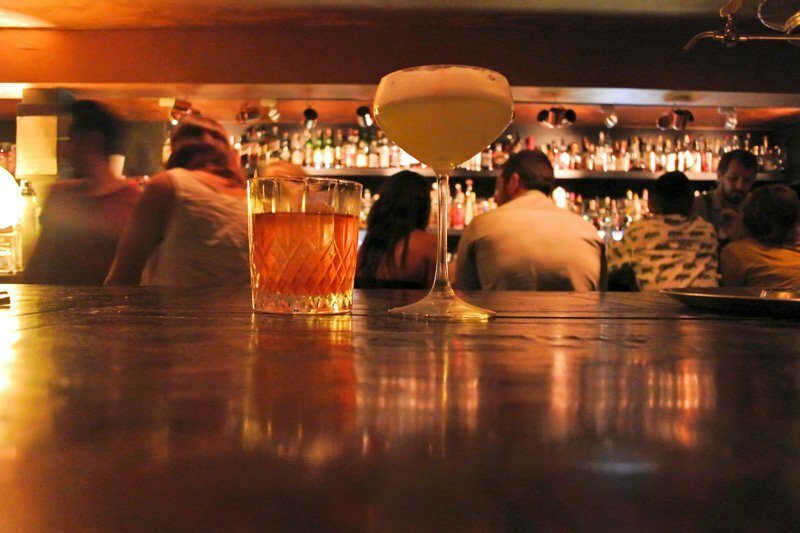 SYDNEY – There is no place in the world where the Prohibition-era cocktail scene has prospered more than New York City. Beginning with , and in the early 2000s, the concept has been carbon-copied over and over again to varying degrees of success. I found a real speakeasy at two-year-old in the Darlinghurst section of Sydney. It's hidden in the back of the darkened lobby bar at the . Like, really hidden. Push through the entrance during a weekend night, and the space erupts with booming pop music and boozy laughter. (I found things a bit more subdued during the week.) The novelty of stumbling upon a hidden bar isn't lost on me — nearby whiskey bar does an equally good job at operating out of sight. Novelty might get me into a bar. But quality booze keeps me there. Bartenders mix from more than 200 bottles. At Eau-de-Vie, I discovered a novella-sized cocktail list featuring some of the most inventive and carefully executed drinks I've ever come across. There's an old-fashioned made with Zacapa rum, Pedro Ximenez sherry, muscovado sugar, and spices. The Tipperary presents Ireland in a coupe: Jameson, green Chartreuse, and sweet vermouth. Eschewing dark spirits, a yuzu mule foxtrots all over the palate in a bright blend of Smirnoff Black No. 55 vodka, yuzu curd, lime, and housemade ginger beer. The bar's name is a French expression meaning "water of life," apt for a bar that has reenergized the cocktail movement. Others agreed last July when it won the World's Best New Cocktail Bar at the influential industry awards in New Orleans. Now, back in New York, I'm pretty damn bummed that a night at Eau-de-Vie requires $2,000 in taxi fare. is the contributing editor at . He travels for the local color.